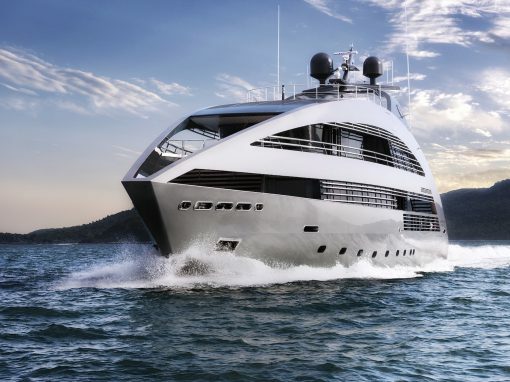 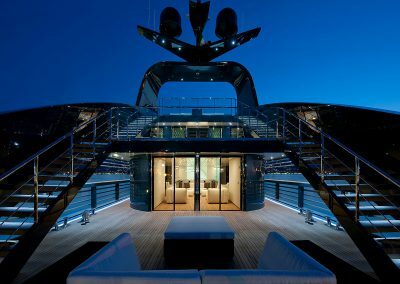 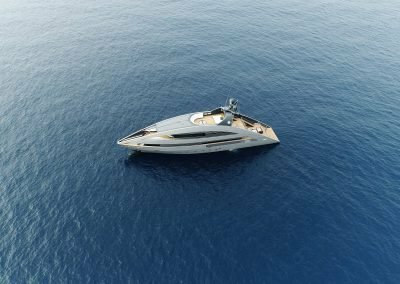 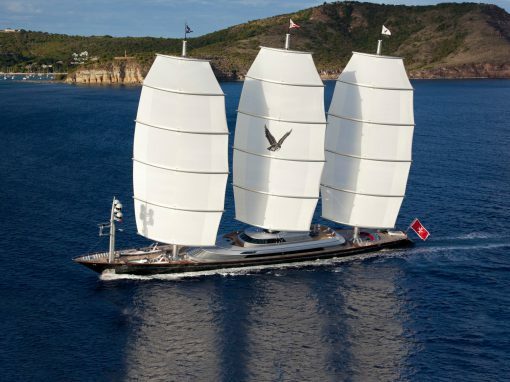 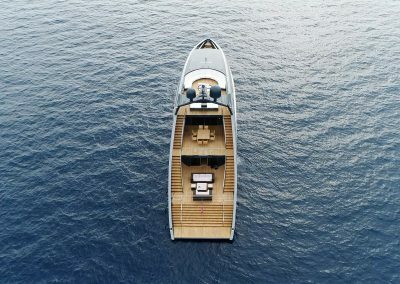 The unforgettable Ocean Pearl is a 41m masterpiece from the innovative design minds at Foster + Partners. 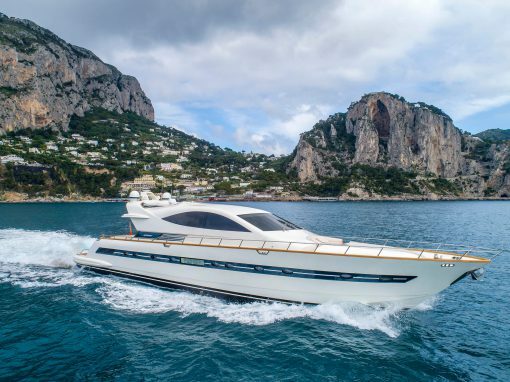 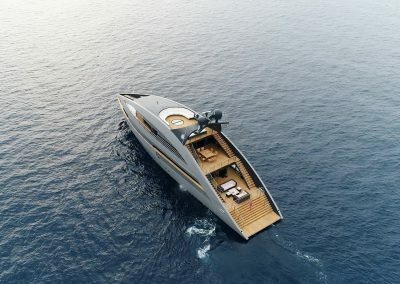 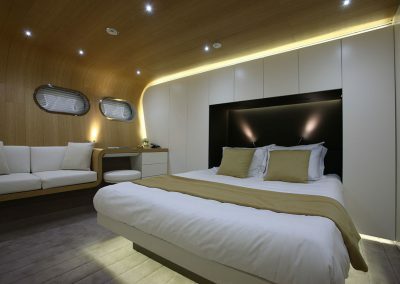 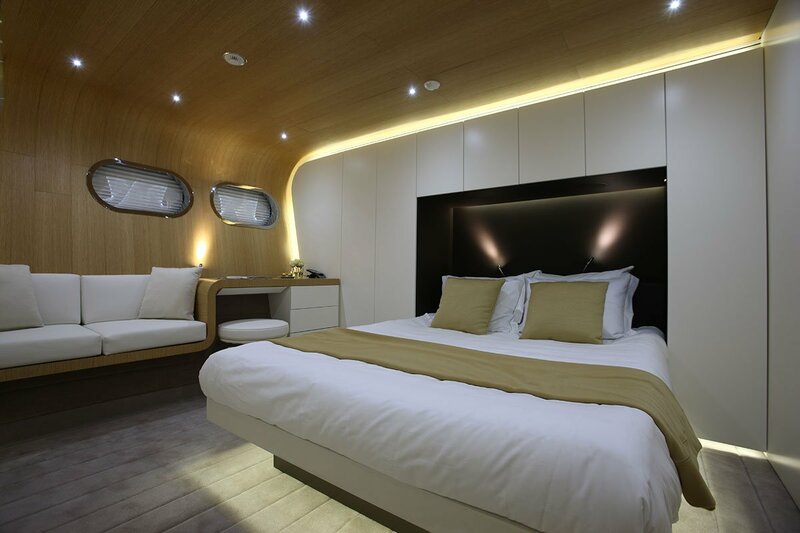 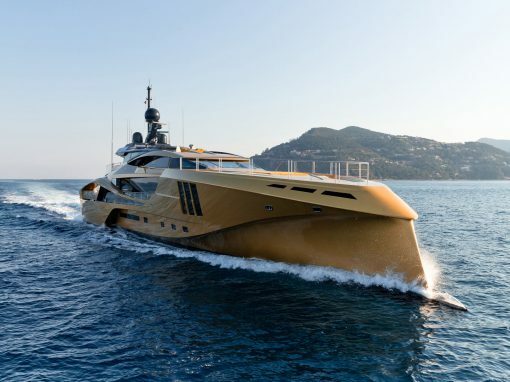 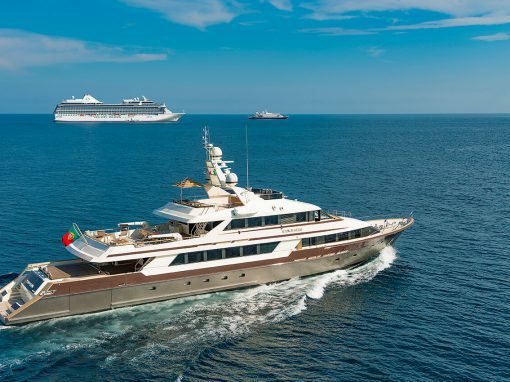 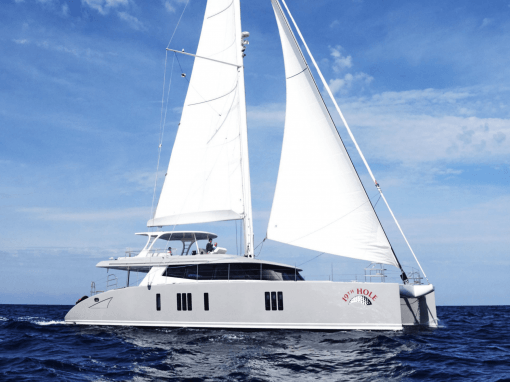 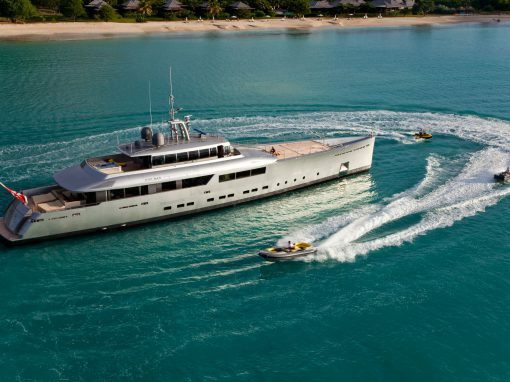 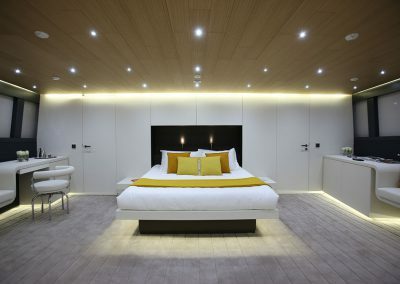 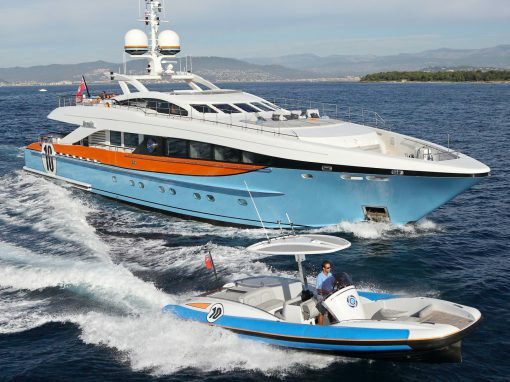 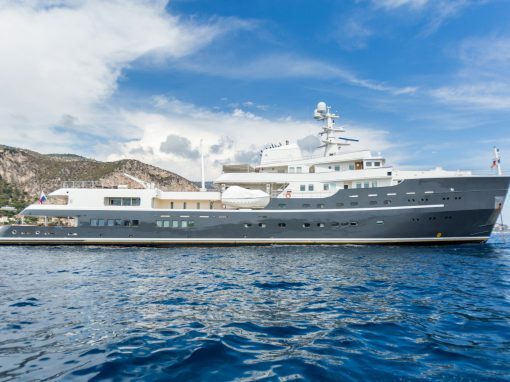 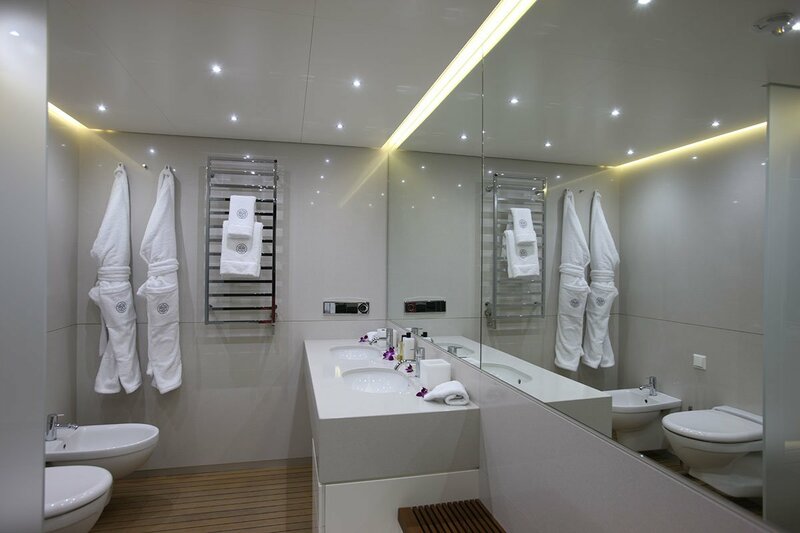 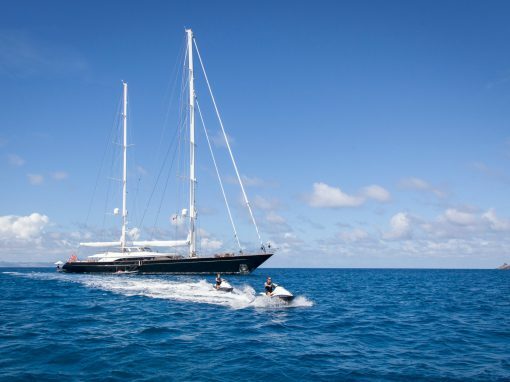 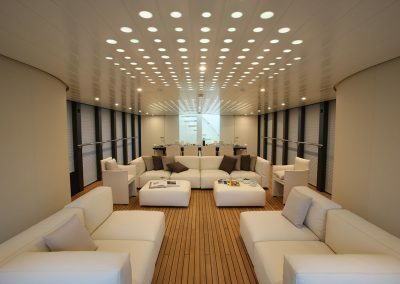 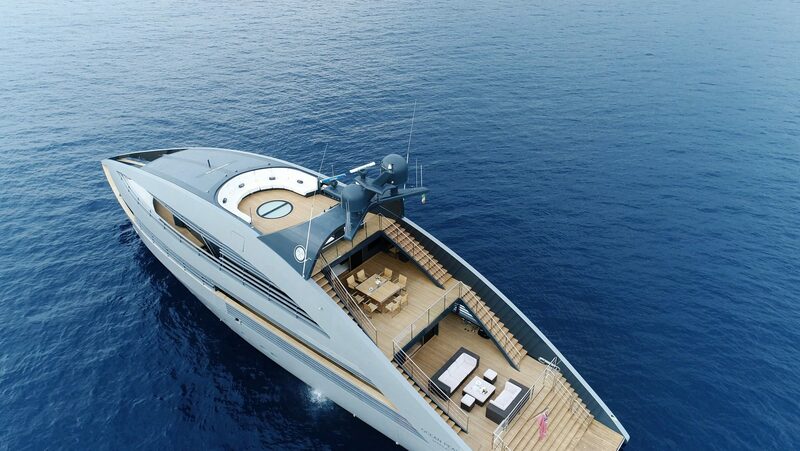 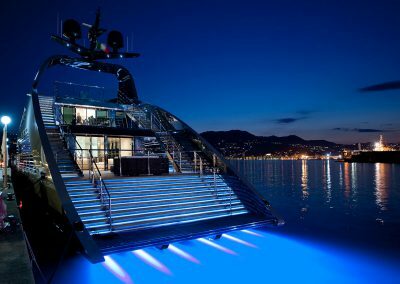 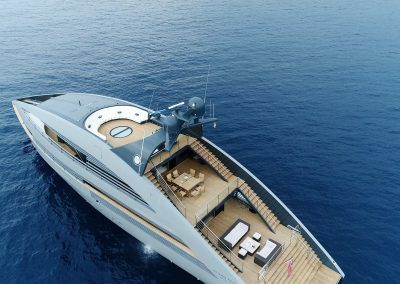 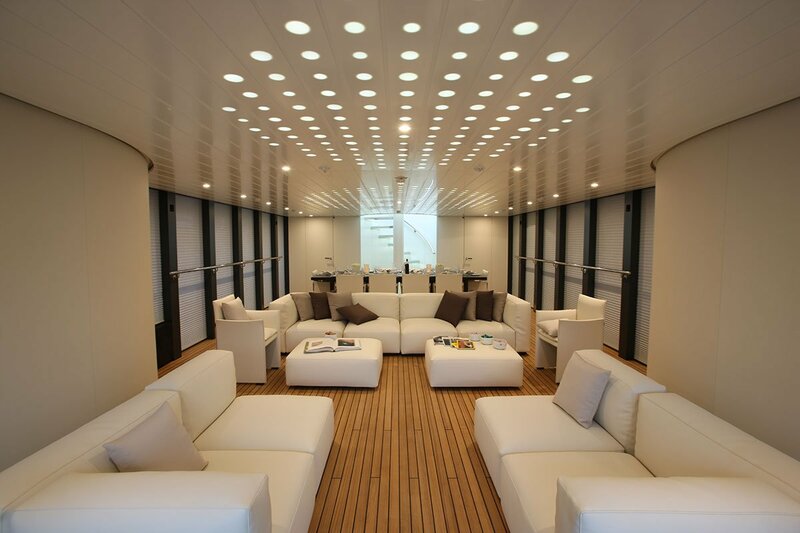 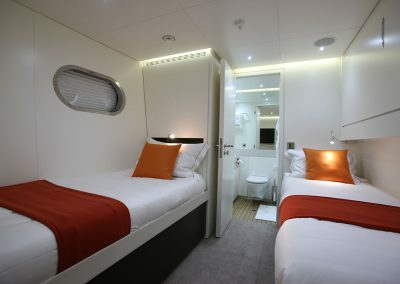 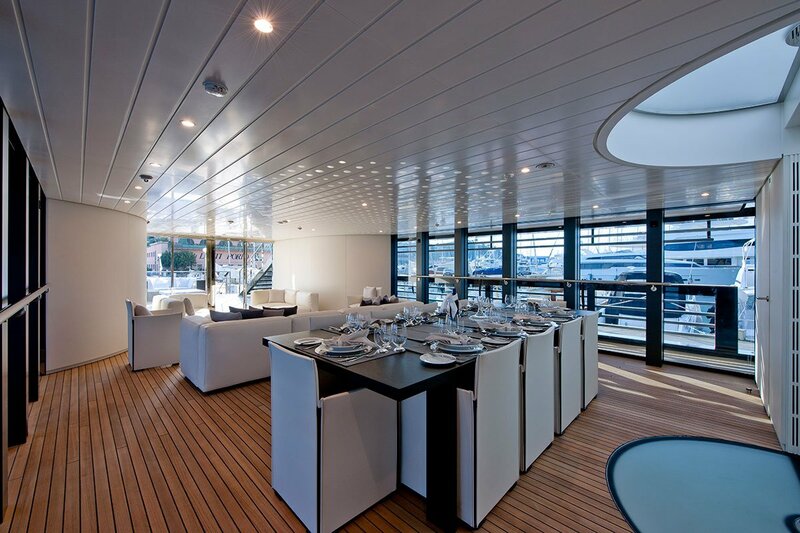 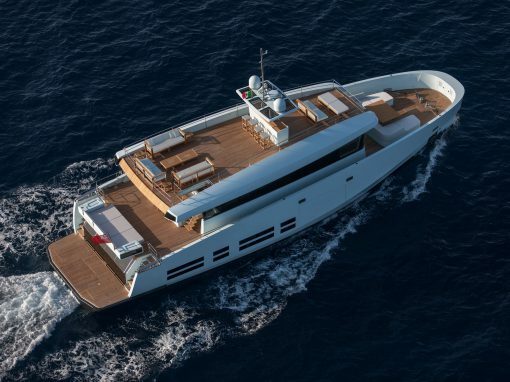 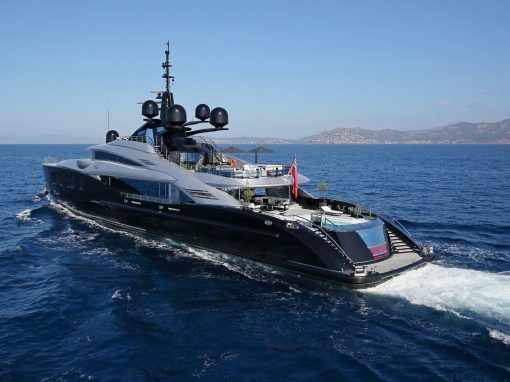 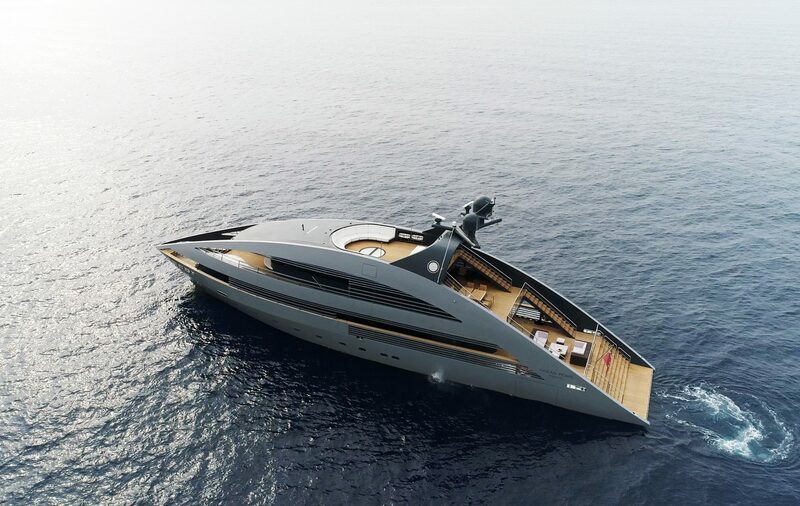 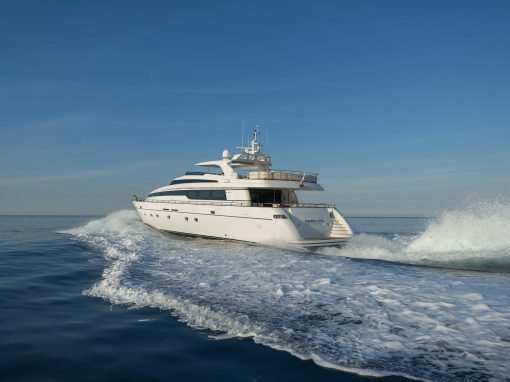 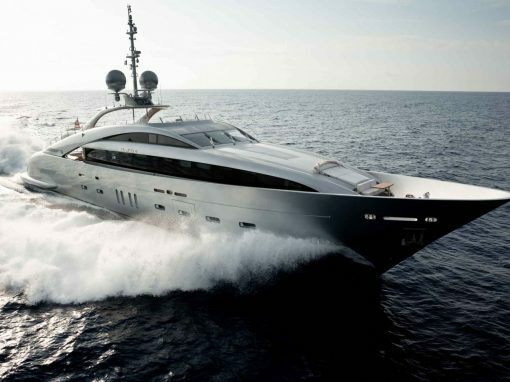 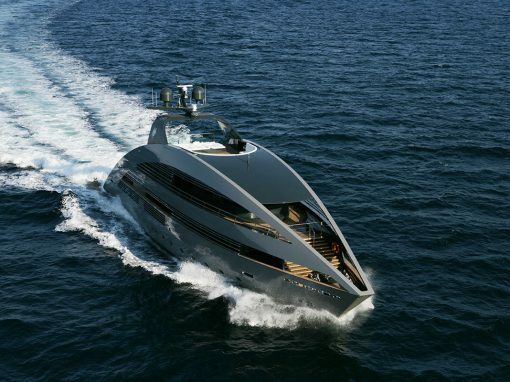 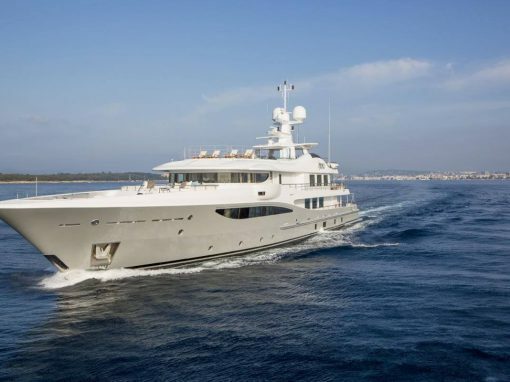 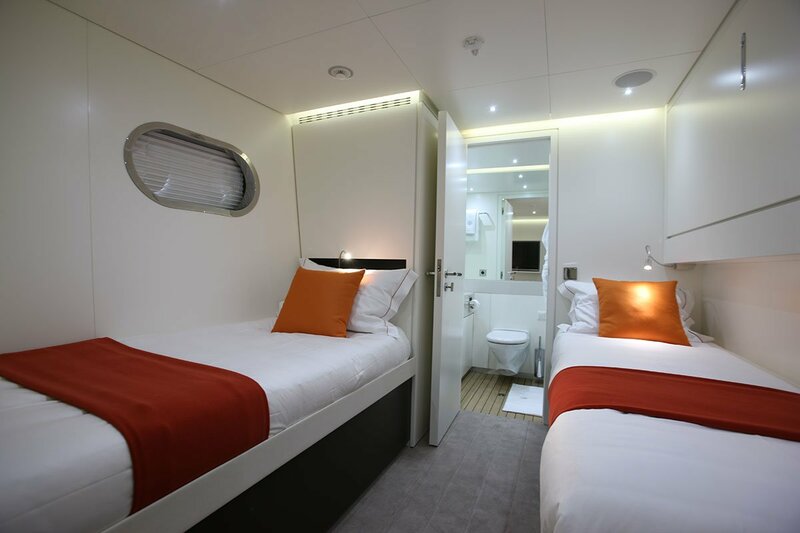 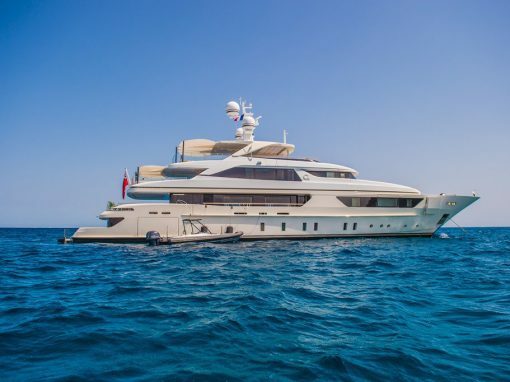 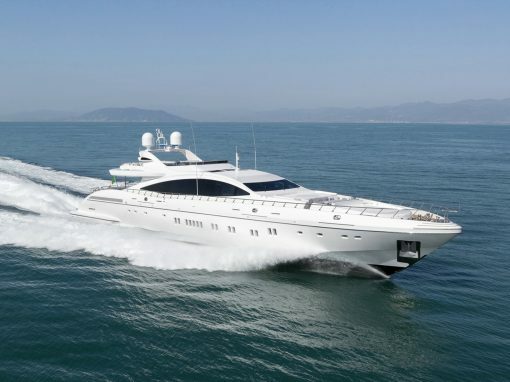 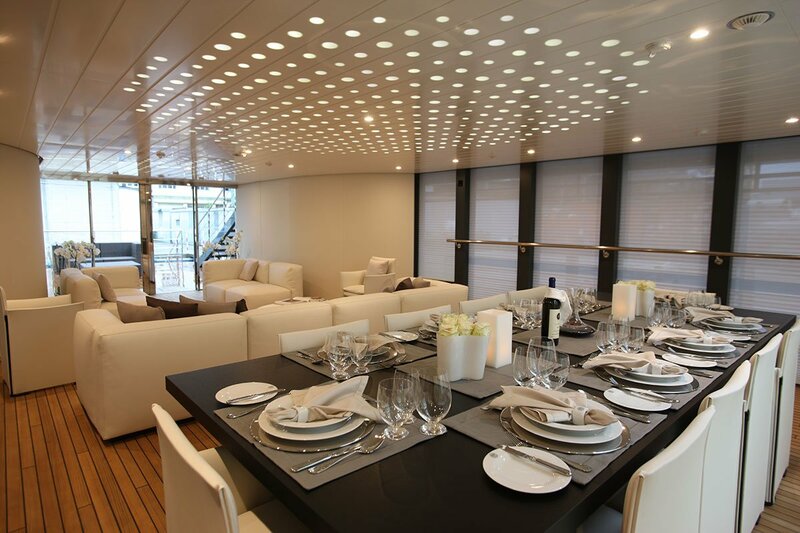 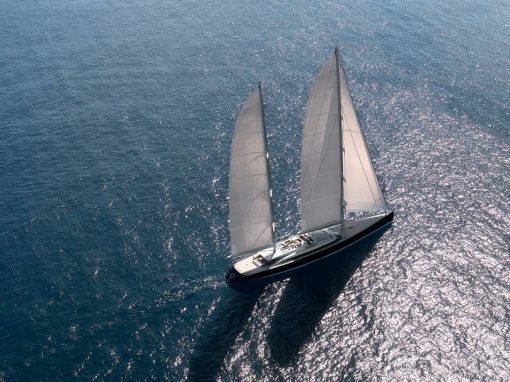 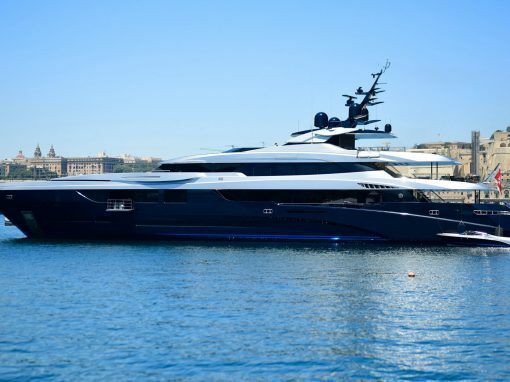 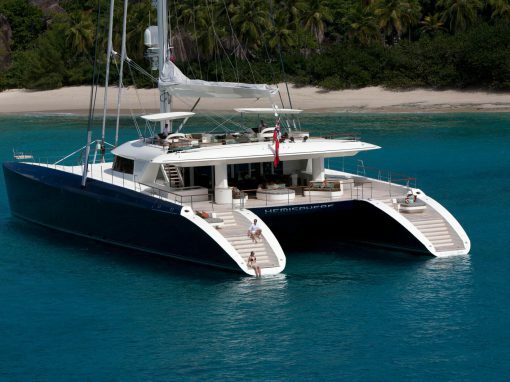 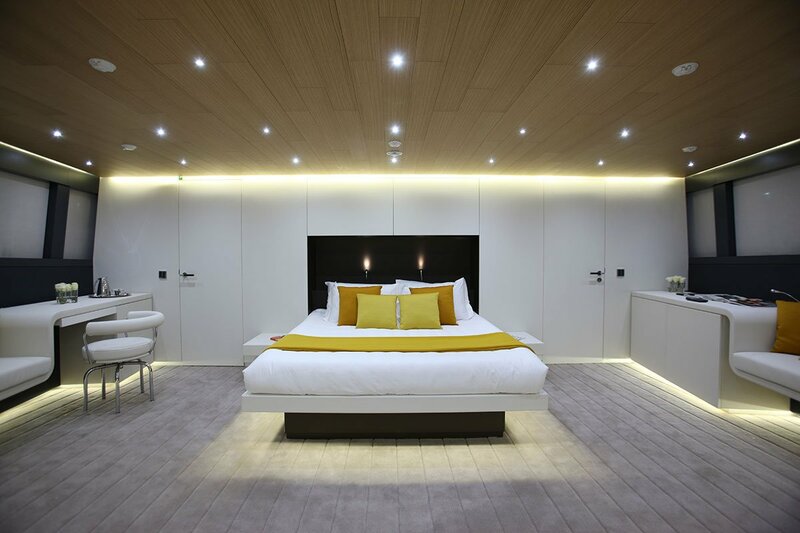 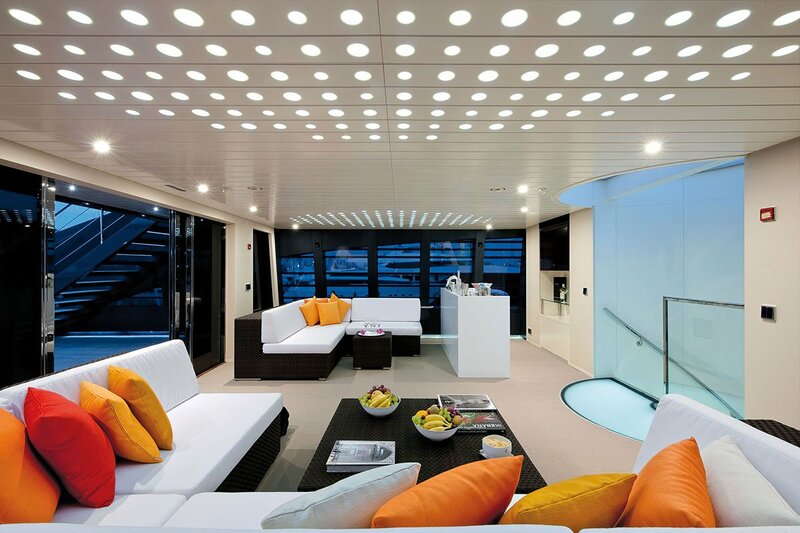 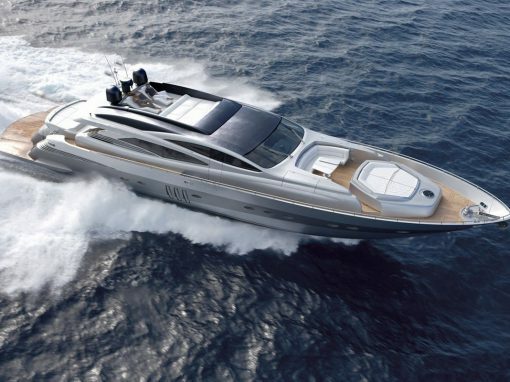 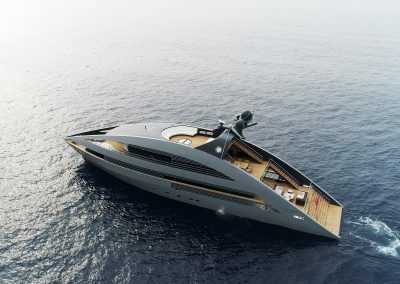 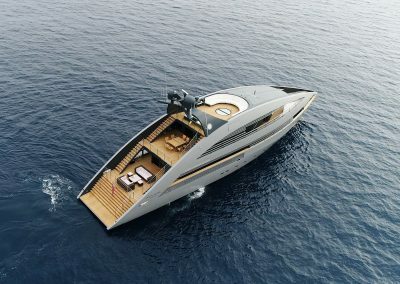 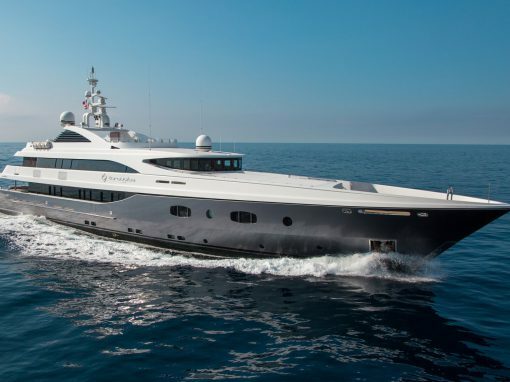 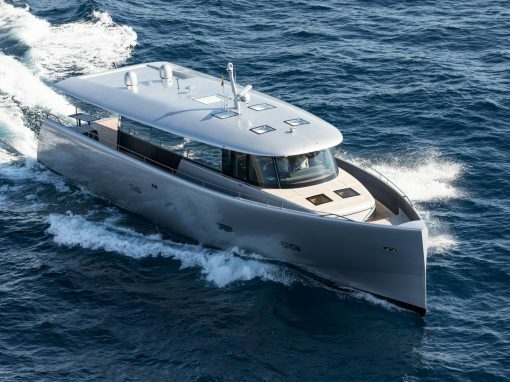 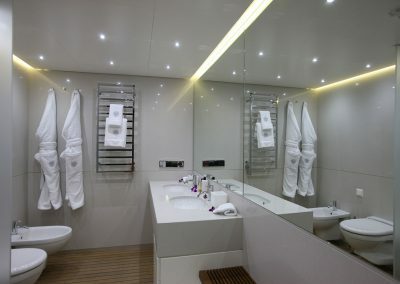 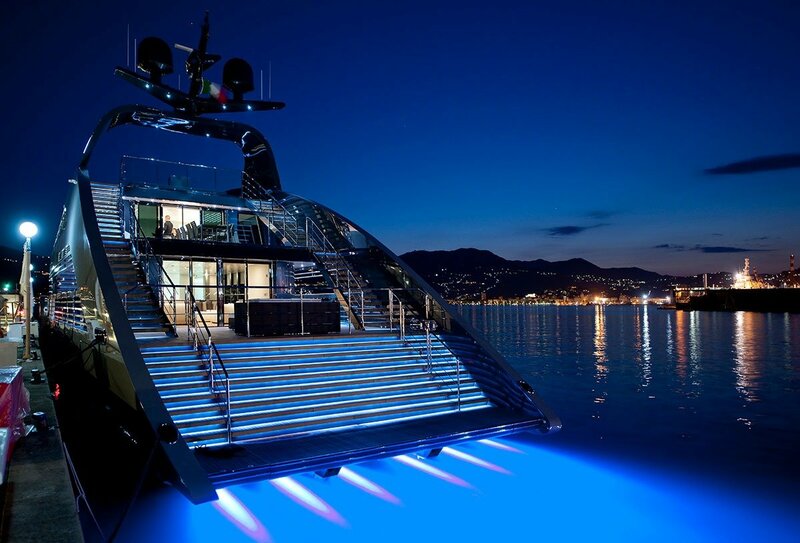 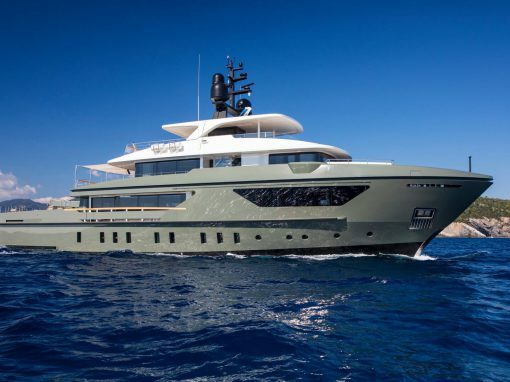 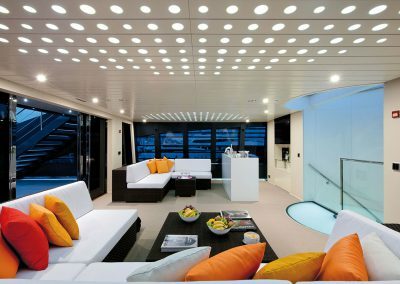 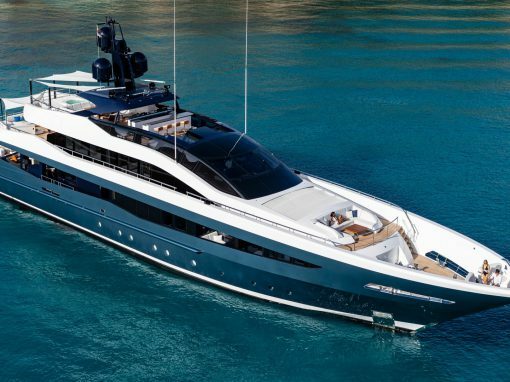 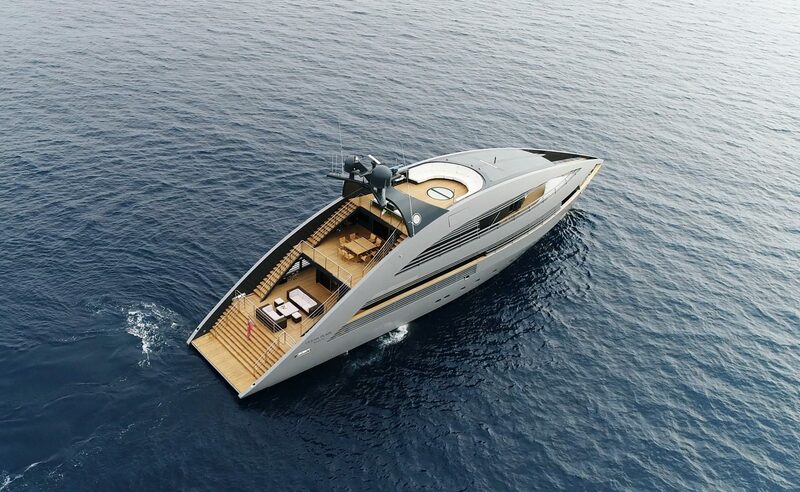 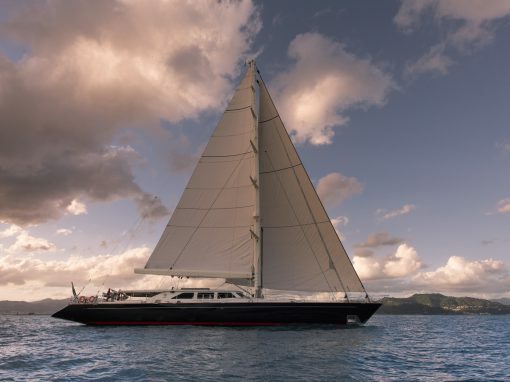 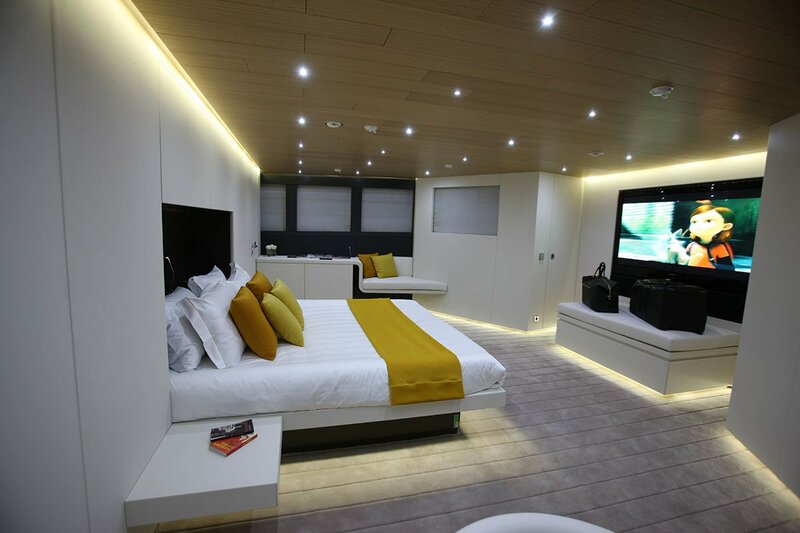 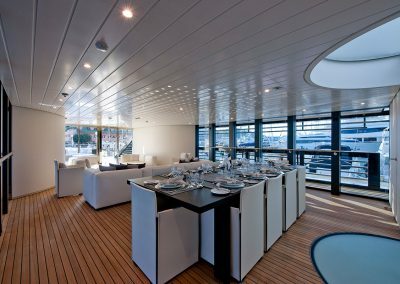 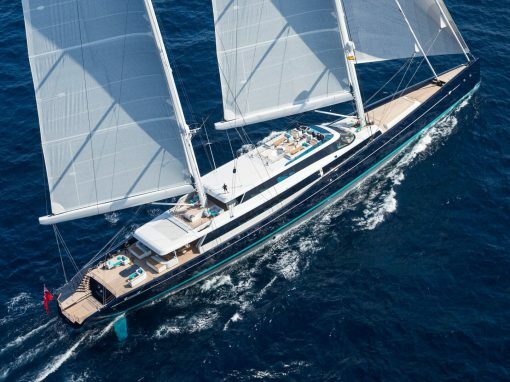 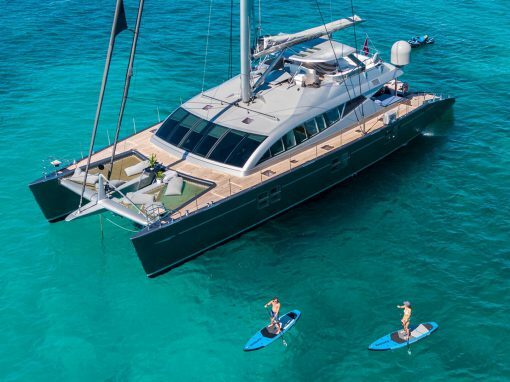 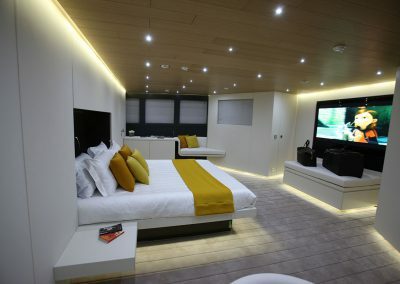 Focusing on light and space, this yacht can host up to 12 guests in five suites. 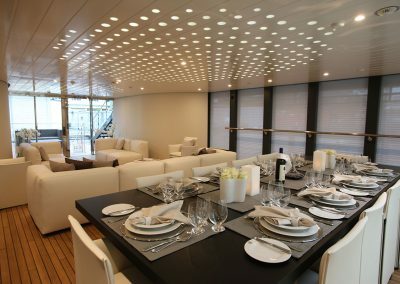 Built in 2010, Ocean Pearl has a clean, ultra-modern apartment feel with floor- to-ceiling windows and walls of light-coloured hardwoods with high-gloss finishes. 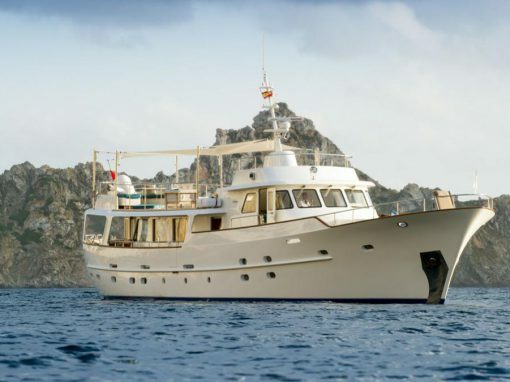 The delightful master suite is a full-beam jaw-dropper with two private terraces.